Something you read about with more frequency now is companies (especially in tech) choosing to make a statement with the location of their new office. Not the office space itself. The location. The building or neighborhood your office is in can convey a powerful message about the status of your company. You may not even be looking to make a “statement” with your new location, but on some level, every business makes a symbolic calculation in the process of finding new office space. Fortunately, real life has a way of foregrounding the practical considerations that, sooner or later, we have to confront, status symbols aside. The commute for your team will play a big role in whether they’re happy with your new office (and employee happiness is kind of a big deal). 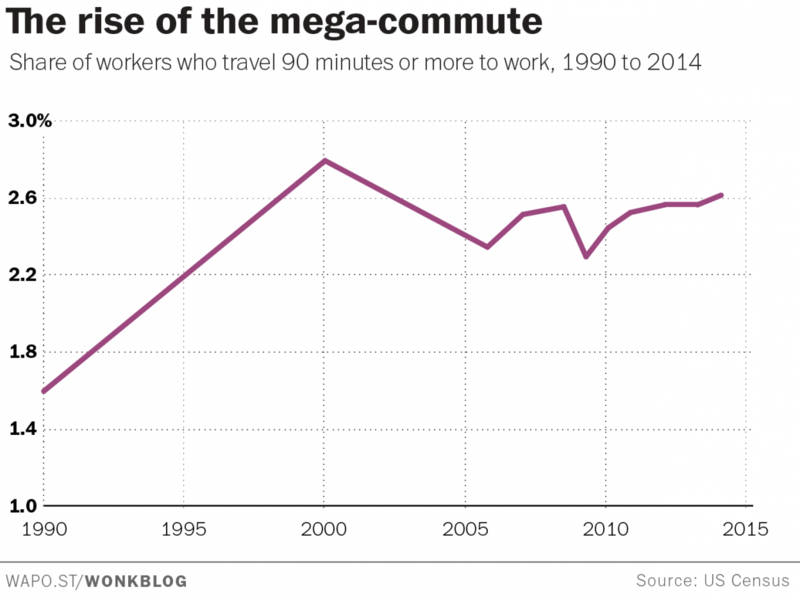 On average, commutes are getting longer, with 17% of Americans taking 45 minutes or longer to get to and from work. While you can’t necessarily help the exact duration of your teams’ commute, remaining aware of it will help you make the most optimal decision for everyone. If you don’t have a centralized directory for employee addresses, you can find out pretty easily with a quick survey or company-wide. You should then use this information to hone in no neighborhoods that will afford the most accessibilty to employees. This matters less in some industries than others, but companies facing pressure to provide on-demand client services, like a PR agency, might prioritize proximity to customers over other considerations. Should the need for last-minute face-to-face meetings arise, walking distance or at most a 1-2 stop trip on the train is much easier to cooridnate than a trip across town involving taxis and traffic. For a PR firm serving a range of TAMI (Tech, Media, Advertising and Information) companies, a central location in Flatiron, Chelsea or lower Midtown, where many of those businesses have a presence, would make sense. In other industries where access to suppliers and vendors is paramount, like fashion, a space in the Garment District might be the optimal choice. Your office neighborhood can also play a role in shaping and informing the company culture you’re trying to promote. It all starts with a neighborhood’s “character” which is outwardly defined by architectural identity and the other businesses taking up residence. For example, the architectural difference between Greenwich Village and Financial District is fairly pronounced, as are the kinds of businesses headquartered in those respective neighborhoods. Here, as mentioned earlier, is where you may begin to weigh symbolic gestures, like which neighborhood reinforces your company’s values? Which houses like-minded businesses? But the neighborhood’s cultural identity has implications beyond the purely aesthetic. Where your team’s professional development and individual growth opportunities are concerned, the ease with which they can attend relevant events or take classes after work is also significant. These are the neighborhood characteristics, alongside fun bars and great lunch options, that employees appreciate. And of course there is the price. Commercial space for rent is priced by dollar/sqft/year. For example, a 4,000 sqft space with an asking price of $45/sqft would be $90,000 a year, or $7,500 in rent every month. 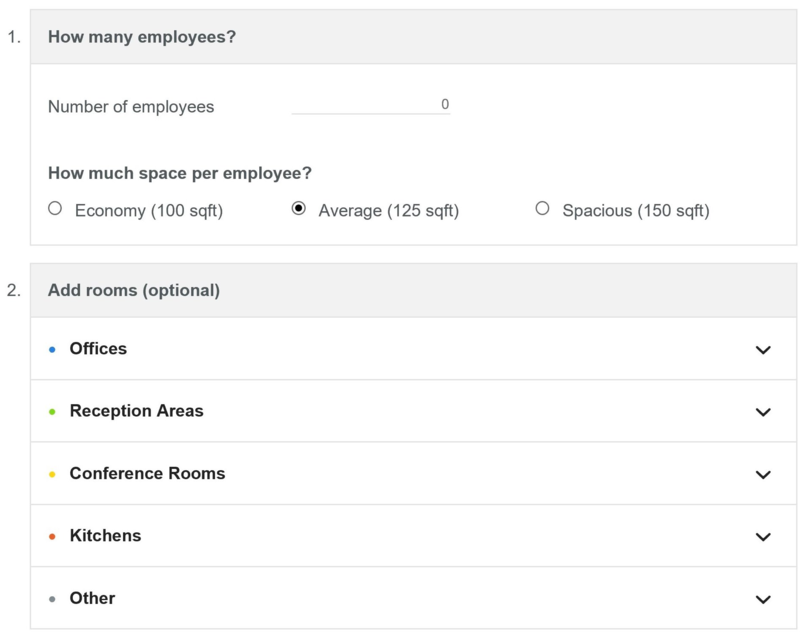 So, if you know how much space you need, which you can work out using a simple tool like a space calculator, you can start budgeting for what your business can afford. And that, you may find, will start to simplify the search for the right neighborhood pretty quickly. For more tips, check out our 6 Secrets to Landing Office Space and sign up for our newsletter below.